I’m going to be trying something new on Tuesdays. I want to get to know YOU better. I want to know what YOU think. 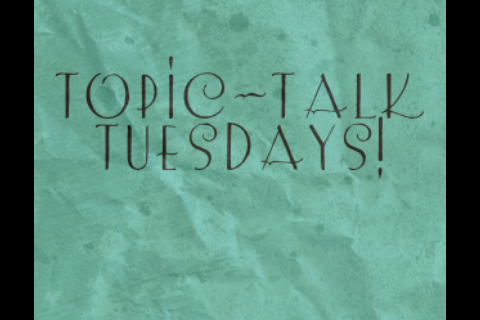 Each week, I will be posting a new topic for “Topic-Talk Tuesdays.” This is an interactive way for you to get involved! Your voice can be heard. Your opinions will be shared. Your thoughts matter. 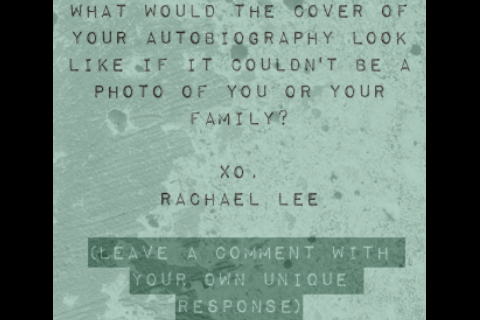 Simply read the Tuesday topic and leave a comment with your thoughts. Previous postHow to get that classy, fabulous sock bun hairdo! I think it have an antique camera leaning against an old bulky suitcase over flowing with pictures with some type of music player sitting beside of it, maybe an ipod or something like that. Explanation: I love memories and my mind stores them from a very young age in childhood. Pictures are one of my favorite things to look at and music just makes me happy. I love sharing both of these things with my two little girls and my husband. I think mine would portray a woodsy mountain type setting with old barns and grapevines and a creek running in front of a little old home place to appear as if if was set in the 1950’s. Jennifer, yours sounds lovely! 🙂 Thank you for taking the time to read, share, and encourage me.